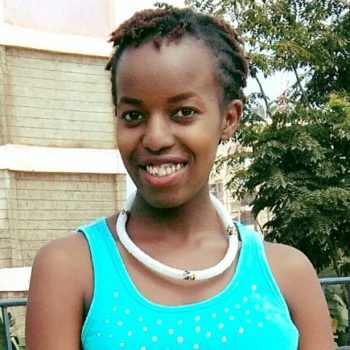 Joan is an upcoming doctor in her final year of medical training at Kenyatta University. Growing up as a sickling brewed a lot of admiration and interest in the medical profession. She hopes to specialize in pediatrics given her love for children. Joan has an adventurous spirit and her plans involve working with Doctors without borders to bring healthcare to the hard to reach areas. She strongly believes in the need for quality and accessible healthcare for all. She has a keen interest in technological innovations in healthcare. This led her to work with Microclinic technologies, a company that creates mobile applications to link patients with doctors. When not buried in books or in the hospital, you will catch her mentoring young girls. Her mantra is that to whom much is given, much is required. She is passionate about women empowerment and development. She is the president of Fly Sister Fly foundation. This is an organization that works to empower girls from Northern Kenya. She is also a volunteer mentor at Kakenya center of excellence. This is a rescue center for Maasai girls who would have otherwise been married off. Her active engagement with the community saw her get accepted in the 3rd cohort of Young African Leaders Initiative (YALI).This is a prestigious program which was started by President Obama for young Africans. She was also nominated as an Associate Fellow of the Royal Commonwealth Society (RCS) which is a partner of The Queen’s Young Leaders program. Joan is an avid reader and enjoys reading biographies, memoirs and contemporary poems. She believes in constant and never-ending self-improvement. Every experience is an opportunity to learn and to become a better version of oneself. Joan shows up for life.